Dr. Michael P. Lange discusses what type of sunglass to wear while boating or fishing. Growing up in the bayous of Louisiana gave me plenty of experience in the sport of fishing. On virtually every day my Dad had off we would be fishing the rigs in the Gulf, the brackish bayous of the coast line or fishing for large mouth bass in some of the great fresh water lakes of Mississippi. I am quite familiar with what it takes to land a large mouth bass in the dense cypress studded swamps or fight with a large marlin in the open seas. I learned very early in my fishing days the importance of wearing a good pair of polarized sunglasses. Whether you are a pro fisherman or a weekend angler one of the most important things you can do is wear a good pair of sunglasses. 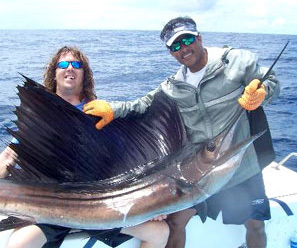 If you are out in the Gulf fishing for marlin or in a fresh water lake fishing for large mouth bass, picking the correct pair of sunglasses is crucial. Exposure to the ultraviolet rays of the sun can and will damage the eyes. The ultraviolet light is intensified and potentially more damaging to the eyes and visual system when it is reflected off the surface of the water. Studies show that over time, exposure to these harmful rays of the sun and wind can damage the eyes. Many eye diseases like cataracts and macular degeneration may be linked to sun exposure. Many people will develop dry eyes and small growths on to their corneas called pterygiums as a result of exposure to the ultraviolet radiation from the sun and the wind. A more acute and painful problem related to the sun’s rays is a solar keratitis or sunburn to the cornea. You may increase your risk of skin cancers in and around the eye if you arent wearing a good pair of sunglasses. The easiest and simplest solution is to make sure the avid boaters and fishermen are educated on the consequences of not wearing the proper sunglasses. 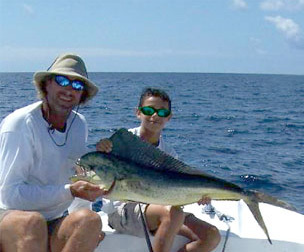 Once the boater and fishermen are educated they can become proactive in the choices they make regarding sunglasses. The obvious benefits of wearing the proper sunglasses while boating or fishing justifies spending a little extra money on a good pair of sunglasses. I highly recommend going to a reputable eyecare center that is experienced in dealing with boaters and fishermen to get the best advice on specific sunglasses for water sports. Often times customers will show up at the local deep discount chain or commercial optical and see an optical sales person that has no experience in these areas. Remember what our momma said , " you pay for what u get" .. The staff at express sunglasses are all very farmiliar with just about every aspect of water sports and what the best pair of sunglasses will be based on the type of outdoor boating activity you are involved in. Sunglasses have become very specific based on your visual needs. If you are fishing in the shallows in early morning your sunglass would be different than if you were on the deep sea fishing for Marlins. The recreational fisherman will want a different sunglass than the Competitive bass fishermen. How Do I Choose The Best Pair Of Sunglasses For Boating And Fishing? Invest in your vision and purchase a good name brand polarized sunglass if you are fishing or boating. A good name brand like Costa Del Mar, Ocean Waves, Nike or Oakley will have 100% UV protection and also block the glare coming off the surface of the water. In my eye care centers throughout Florida ( Eye Care and Associates ) we deal with these patients on a daily basis. I have found that the two most popular sunglasses we fit on our patients that need a prescription are the Costa Del Mar Pescador and the Costa Del Mar Eliminator. These frames work great because they have a relatively flat front surface that is ideal for prescription lenses. They have total protection from the sides, top and bottom. These frames fit most faces well and are very adjustable by a competent optometrist or optician. These frames are also great at high speeds on the water since the wind does not get under the frame and fly them off. The Pescador and Eliminator have side shields that increase your peripheral vision which is important in a high speed boat or off shore. However the entire line of Costa Del Mar is really quite good and it really boils down to personal preference. I also like the Oakley M Frame Sweep in amber polarized for shallow and early AM fishing, and the Oakley M Frame Sweep gray polarized for deep sea fishing. 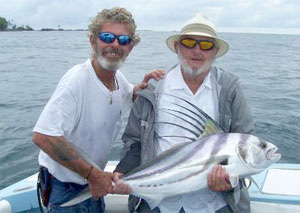 The entire line of Ocean Waves has been proven by world class fishermen. Ocean Waves has different colors for the specific type of fishing. 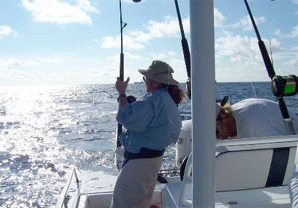 Ocean waves sunglasses were tested in the fishing environments using different tints and lens materials to maximize visual clarity and minimize glare. Polarized lenses are crucial while on the water to block the surface reflection so the glare does not interfere with your vision. Polarized lenses not only enable you to see the fish in the water better but also enable you to see any object that may be just under the surface of the water prior to hitting it. The ultimate fish and boating sunglass should fit well, have good side, top and bottom protection, a full field of vision, and should be polarized with UV filter in the monomer or UV coating. A back surface anti-reflective coating will even further enhance ones vision while wearing sunglasses by decreasing the amount of light reflected away from the lens. Fishing sunglasses come in a lot of different colored lenses. I recommend a copper or brown lens for the majority of early morning, late evening and shallows fishing. Grey lens is best for deep sea fishing or fishing in the middle of the afternoon. If it is very overcast, cloudy or foggy fishing sunglasses should have an amber, yellow or orange tint. Fishermen who have had cataract surgery and have implants in their eyes would benefit from the amber, yellow or orange colored lenses because of the blue blocking attributes. The high intensity visible spectrum of the sun (blue light), may be very damaging to the retina after the human crystalen lens has been removed in cataract surgery. The ExpressSunglasses lab makes custom blue blocking polarized lenses that can be cut down into almost any frame with any prescription. They can be contacted through their website at ExpressSunglasses.com. Just send your prescription to ExpressSunglasses and their lab will custom-fabricate your prescription into the sunglass of choice. The ExpressSunglasses lab can put almost any prescription into the majority of sunglass frames available. So whether you are interested in a super high contrast blue blocking polarized lens, or copper, brown, yellow or grey lenses, ExpressSunglasses can fabricate those in house. They have made thousands of these custom blue blocking polarized lenses for customers and patients over the last few years. Contact ExpressSunglasses at 1-877-808-2020, or FAX 1-877-606-2020. If you are looking for some of the best non prescription sunglasses for fishing and boating then check out the entire lines of Costa Del Mar, Oakley, Ocean Waves and Nike sunglasses at ExpressSunglasses.com. We have been in the business of selling sunglasses with superb customer service to boaters and fishermen form all over the world for the last 18 years!. Express Sunglasses has their own lab where they are constantly involved in research to try to maximize visual performance and eye protection through eyewear and sunglasses. The Express Sunglass team is actively involved in patient care , research and product development. Spend a little bit extra on a good name brand pair of sunglasses so you know you are getting the proper protection and added improvement in visual performance you are looking for. The best non prescription sunglass currently on the market for water sports are the entire line of Ocean Waves and the Costa Del Mar wave 580. These lenses help to block the yellow light that improves overall contrast and minimizes glare thus improving visual performance and protecting the eyes at the same time. The lenses are made of glass and are great for the salt water fishermen and boaters because they are quite resistant to scratching. Remember to go online at ExpressSunglassses.com when purchasing your sunglasses. Happy boating and great fishing. June 3, 2007, revised on December 27. 2008. Dr. Lange was raised in the bayous of Louisiana and has been an avid salt water and fresh water fisherman since he was five years old.